Count on the professionals at J&S Air Conditioning, in Calexico, California, for dependable air conditioning repair and installation. We provide routine maintenance and repair for units and sell and install a variety of quality systems from leading manufacturers. All parts and labor are protected with a 10-year warranty. Sometimes your system requires repair. For a small fee, we will inspect your system and make any necessary repairs or new installations. We will install a new compressor, motor, capacitors or other electrical component, as well as Freon charge. Prolong the lifespan of your unit with regular maintenance from our company. We inspect your system and perform a complete factory diagnostic to ensure it is functioning properly. Then we give it a thorough cleaning. We recommend having your system cleaned prior to every summer or winter. Contact us for pricing. Reduce allergies and keep the air in your home clean with duct cleaning. Our company cleans the insides of your air ducts and performs any necessary repairs to help keep your air ducts free of dust and functioning efficiently. J&S Air Conditioning works with all types of sheet metal for air conditioning systems. When you need a new air conditioning system in your home, we can install a new system as well as fabricate air ducts to fit the new system. 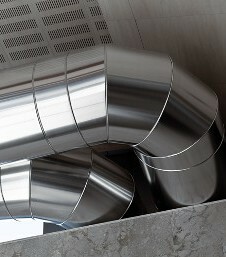 Contact us to clean the air ducts in your home to improve the overall indoor air quality.